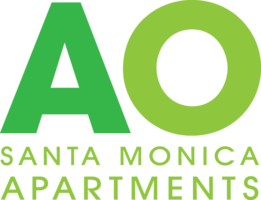 Thank you for choosing AO Santa Monica Apartments, a property managed by Greystar. This community complies with all federal, state, and local regulations regarding fair housing for all applicants and residents. Please be advised that AO Santa reserves the right to require a guarantor, additional deposit, and/or deny occupancy. As part of your application, a credit report and criminal background search will be obtained through one or more agencies, and your income will be verified. Each resident who will live in the apartment, 18 years of age or older, must complete an application. All leaseholders must qualify per the following criteria below. Leaseholders applying remotely must notarize all lease documents. A criminal background screening will be verified for all occupants 18 years of age or older. All applications must be finalized within 72 hours. *Selecting a non-vacant unit does not guarantee availability and/or could result in a change of move-in date, apartment selected and rental rate. Application: 49.12 per adult (applicant/Guarantor) non-refundable. All applicants must have a combined verifiable source of no less than three (3) times the rental rate. If an applicant has no income, a guarantor must be obtained. A Guarantor income must meet four (4) times the rental rate. *Approval will be based on credit scoring, income requirements, a criminal background check. If the application receives a screening result of "Conditional Approval," the applicant may pay an additional deposit or obtain a qualified guarantor (cosigner). $500 per pet (Limit is 2 Pets) Dog Breed restrictions apply. Pet Rent: $50 per pet/per month. Utilities: Resident(s) are responsible to start the electric services (Southern CA Edison) in their new home prior to move-in. Conservice Utility Services: Billing is metered and based on usage. Renter's Insurance: $100,000 minimum liability required. Insurance provider is choice of the resident.